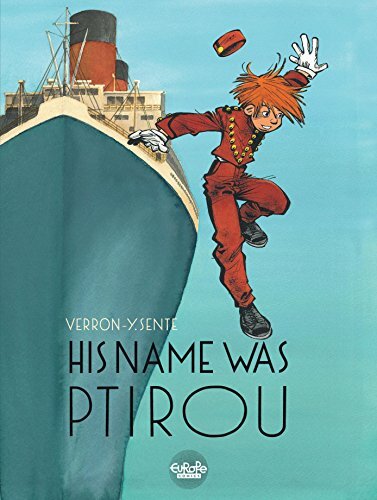 In 1929 France, an orphaned acrobat becomes a cabin boy in His Name was Ptirou. Slice of 1929 cruise ship life, this comic provides a fictional backstory to the creator and main character of Spirou Comics. Spirou et Fantasio is a famous Franco-Belgian comic begun in 1938 and still in print today. The comic includes the entertainment on a luxury ship in 1929 including movies, balls and boxing. A seaplane is also featured. His Name Was Ptirou includes romance, tragedy, acrobats, intrigue, union drama, sabotage and a mystery. There is truly something in here for most readers (sorry horror/paranormal/fantasy fans). 4 stars! Thanks to Europe Comics and NetGalley for a copy.